Worker's compensation is becoming an increasingly complex and dynamic area of the law. 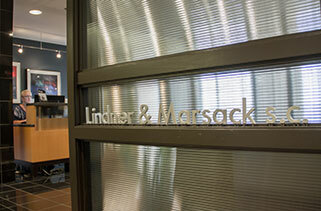 Lindner & Marsack, S.C. has a highly skilled and experienced team of attorneys dedicated to handling every aspect of a worker's compensation claim from the initial investigation through the final appeal. The firm's worker's compensation attorneys also regularly represent insurance carriers and employers in cases to recover worker's compensation benefits from responsible third parties.